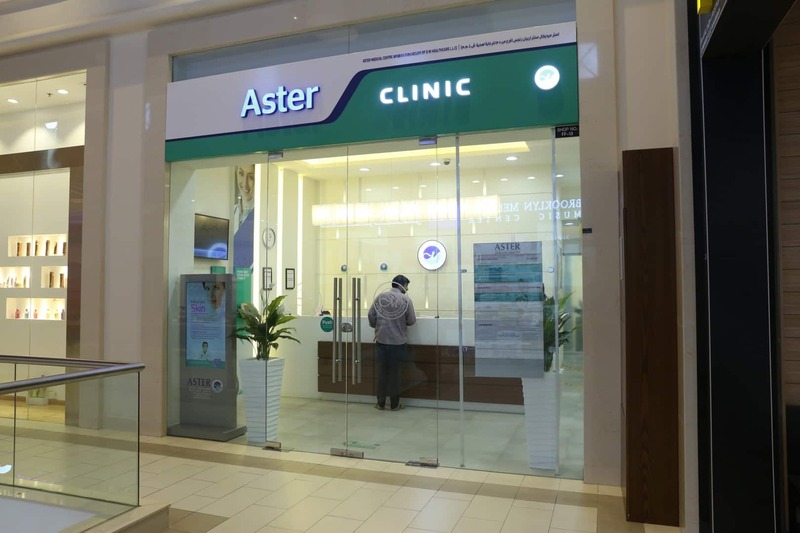 Aster DM Healthcare unveils its 38th Medical Clinic in UAE at The Village – Community Mall, Arabian Ranches II. 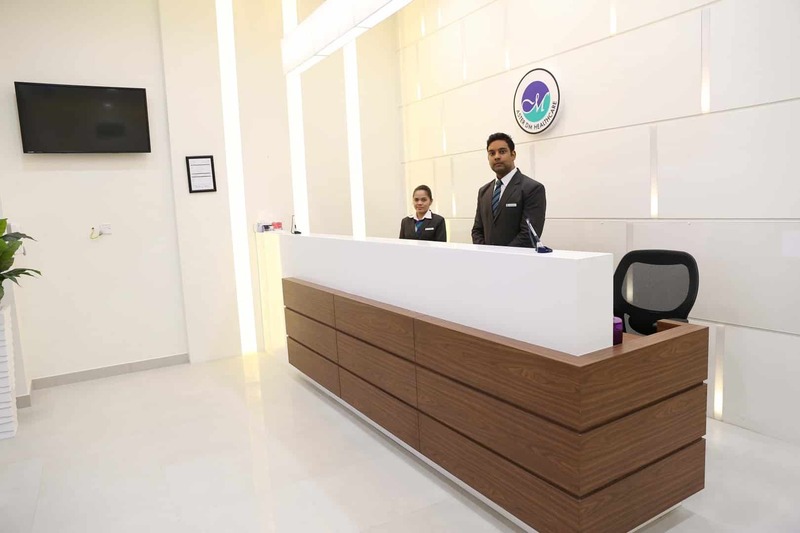 With three decades of experience in comprehensive healthcare, Aster brings affordable, quality healthcare to the population of Arabian Ranches. 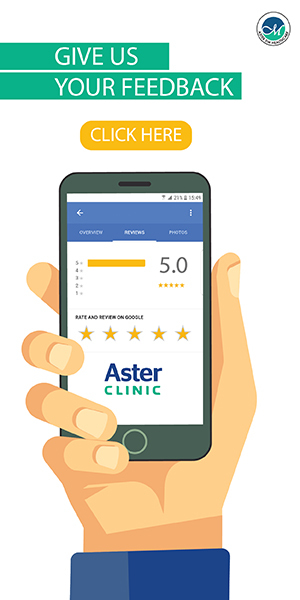 Backed up by a team of expert staff and high-end technology, Aster is now available as your friendly neighborhood family clinic. 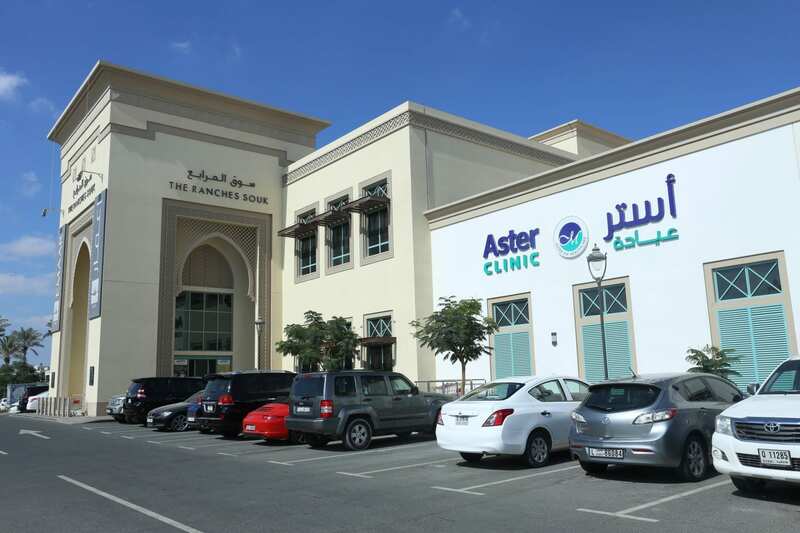 Visit Aster Clinic Center in Arabian Ranches for all of your medical needs. 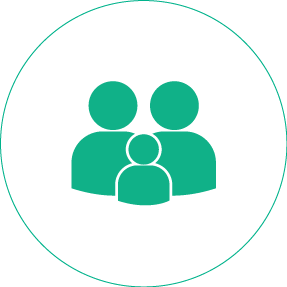 Family medicine is the medical specialty which provides continuing and comprehensive health care for the individual and family. 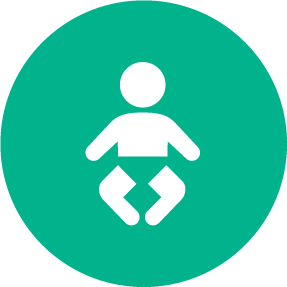 Paediatrics is the branch of medicine that deals with the medical care of infants, children, and adolescents. 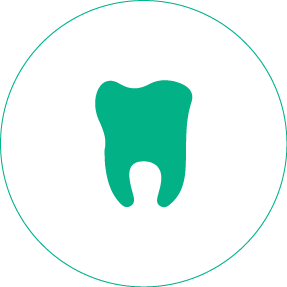 Dentistry involves the diagnosis, prevention, and treatment of diseases and disorders of the oral cavity, and its surrounding areas. 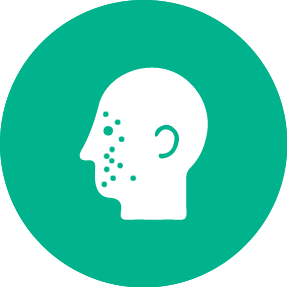 Dermatology is the branch of medicine dealing with the skin, nails, hair and its diseases. A Family Medicine Specialist from Iran/Arab. Who wants to help patients with best of her clinical knowledge and skills. 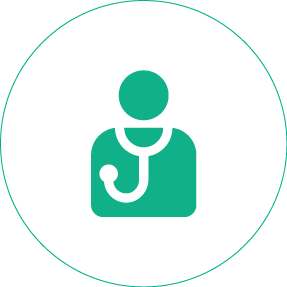 The doctor-patient relationship is a very deep bonded relation which needs trust and commitment from both sides. 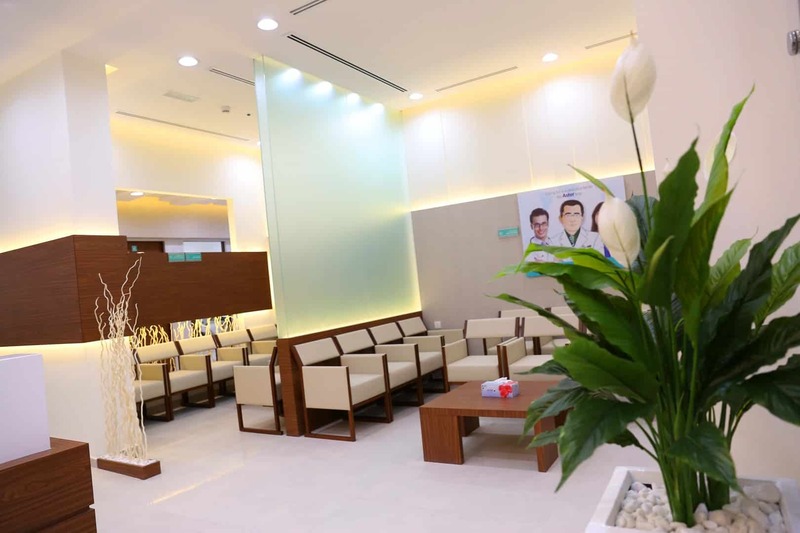 Dr. Hakimeh Karichem Hardani is the Family Medicine Specialist at Aster Clinic, Arabian Ranches, Dubai. 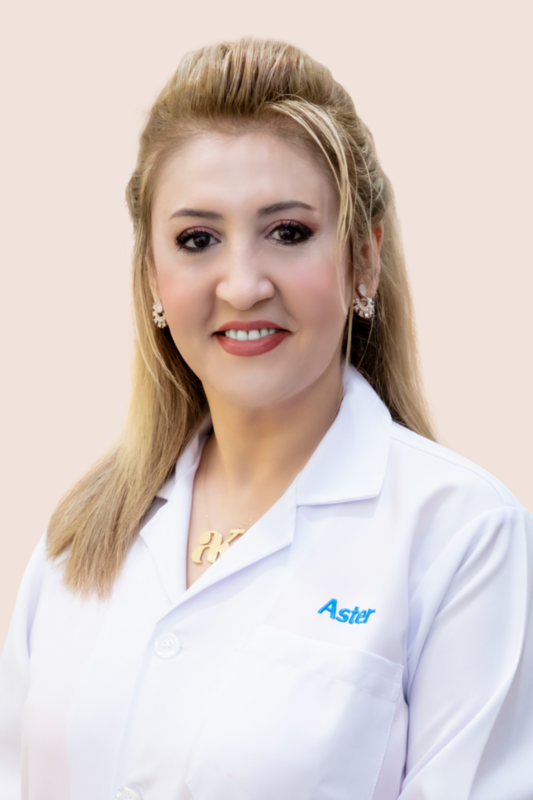 Dr. Fatemeh is a General Practitioner at Aster Clinic, Arabian Ranches. 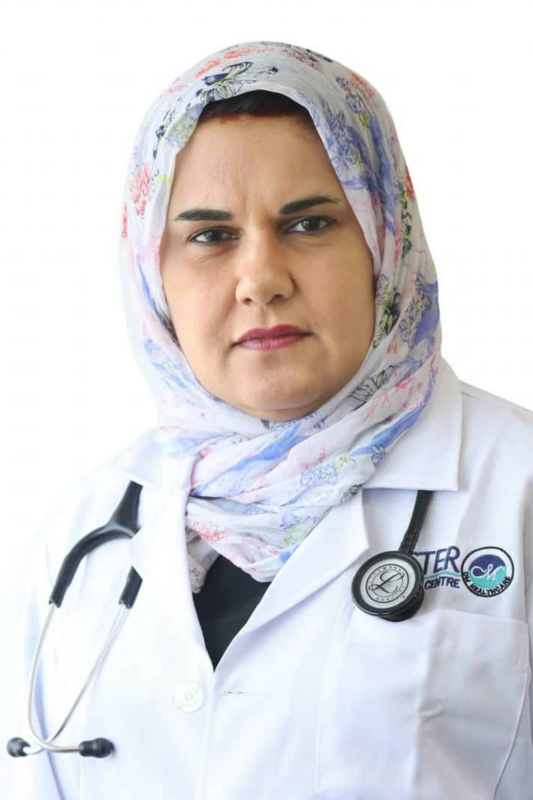 She attained her Doctorate degree of Medicine from Tehran Azad University of Medical Science in 2008 completing her Seven-year training in this discipline following by two- years post-graduate training in Emergency and Family medicine departments of general hospitals in 2010. 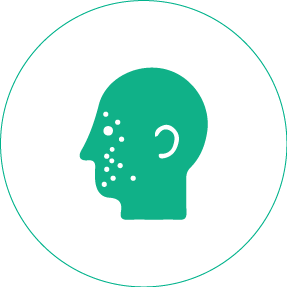 She has more than 11 years of experience working as a family practitioner in hospitals and clinics in Canada and the Middle East. 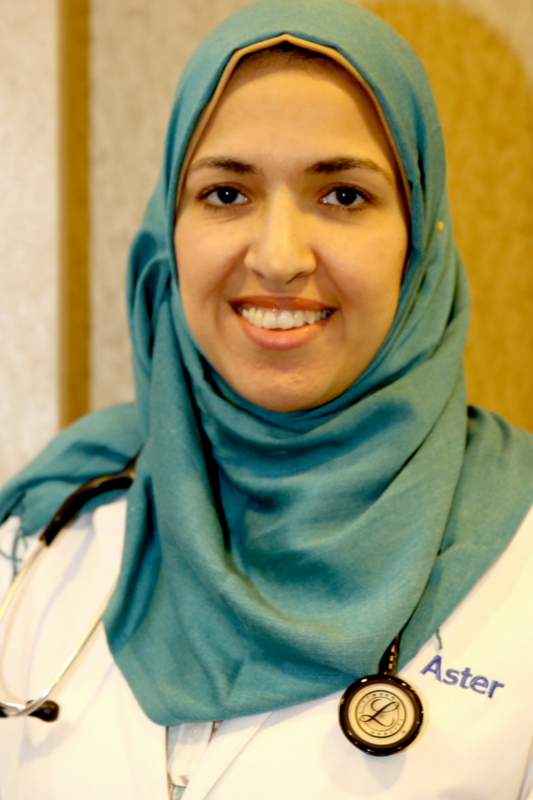 She completed a clinical clerkship and research assistant in Osteoporosis department of Toronto General Hospital for a year and also worked in the Cardiology Clinic in the Women’s College Hospital of Toronto. 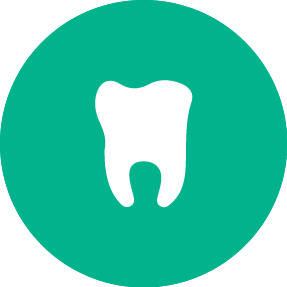 Then after in 2011 she registered in Medical Council of Canada after evaluated and qualified by the Medical Council of Canada. Before moving to Dubai she was working as a practitioner in a private Cardiology clinic in downtown Toronto with more than 60000 patients. 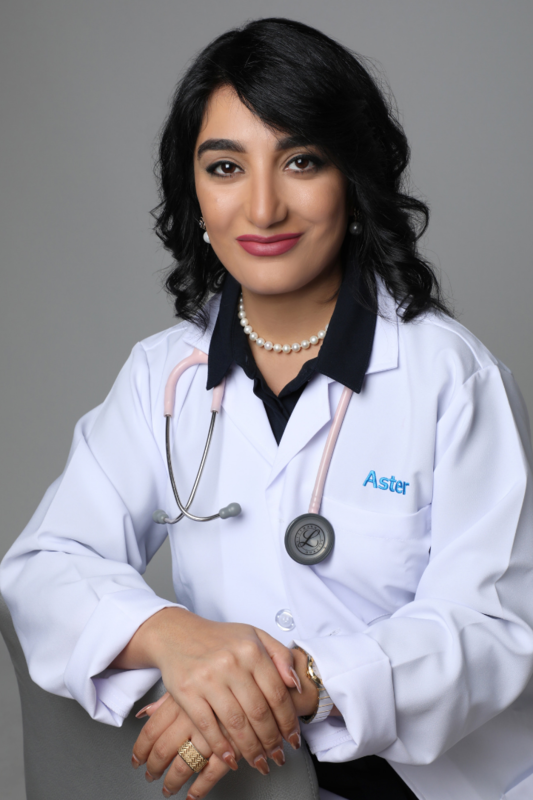 Dr. Fatemeh practices general medicine holistically, believing that an individual’s physical and mental well being are intrinsically linked, and supported by preventative medicine and sustainable lifestyle changes that place emphasis on the importance of regular checkups to detect diseases at an early stage. 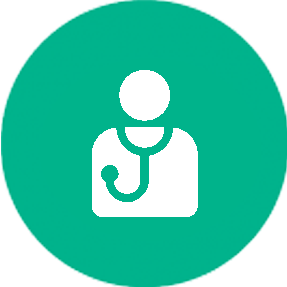 She makes patients feel at ease and ensures the entirety of their story is heard before offering medical advice. She believes that following up with patients medical condition has a great effect on improving the condition. Dr. Ingy Aly Omar (MBBCH, MSc. 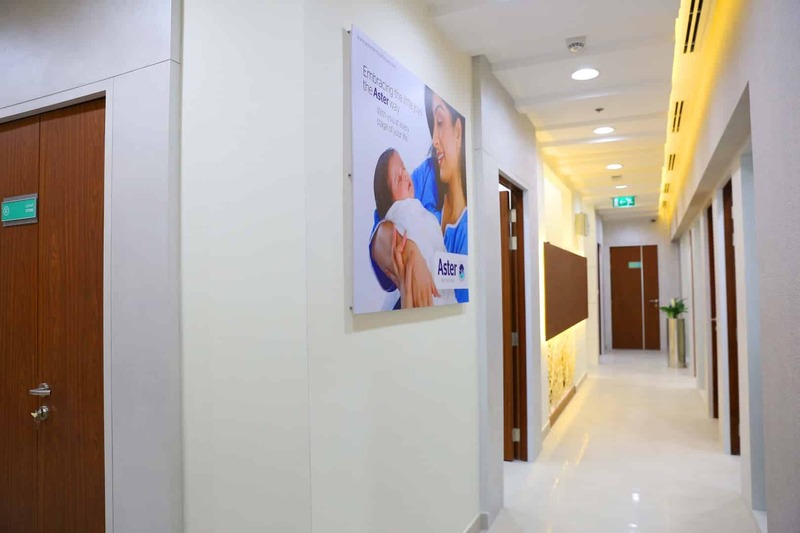 Paediatrics) is a Specialist Paediatrician at Aster Clinic, Arabian Ranches. 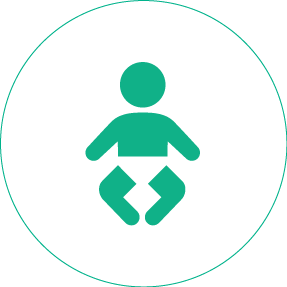 She holds a master's degree in paediatrics from Egypt, with over 8 years of experience in Paediatrics and Neonatology. 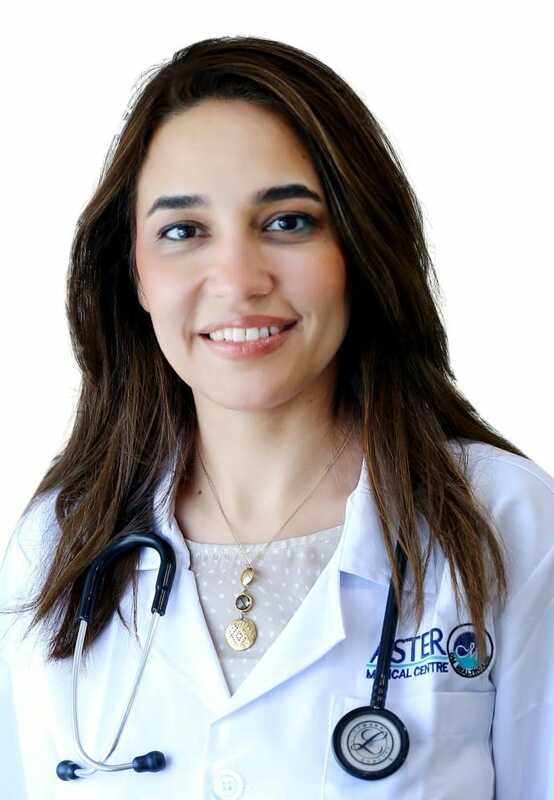 Dr. Dina Adel El Sehly is a Specialist Paediatrician, with over 15 years of experience, at Aster Clinic Arabian Ranches. 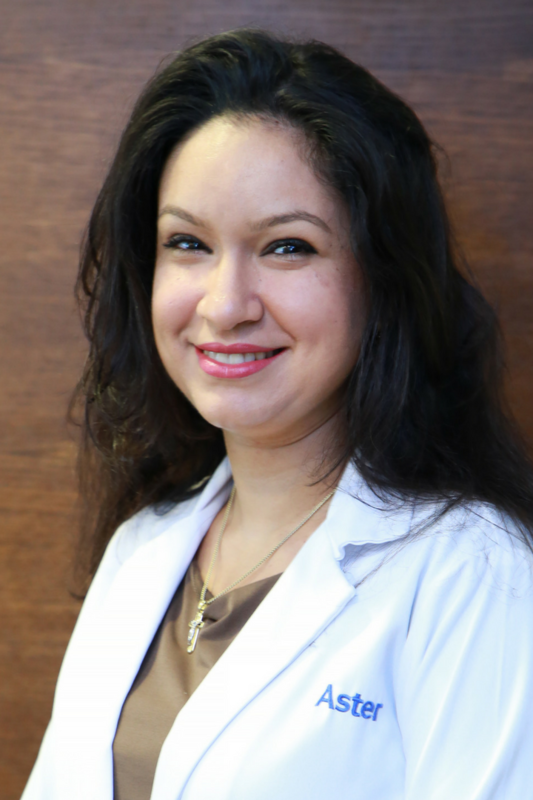 Dr. Dina completed her MBBS and Masters in Paediatrics and Neonatology from the Tanta University in Egypt. 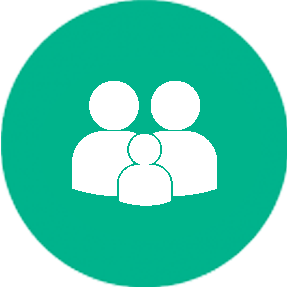 She has vast experience in dealing with patients ranging in age from newborns to 18-year-olds. 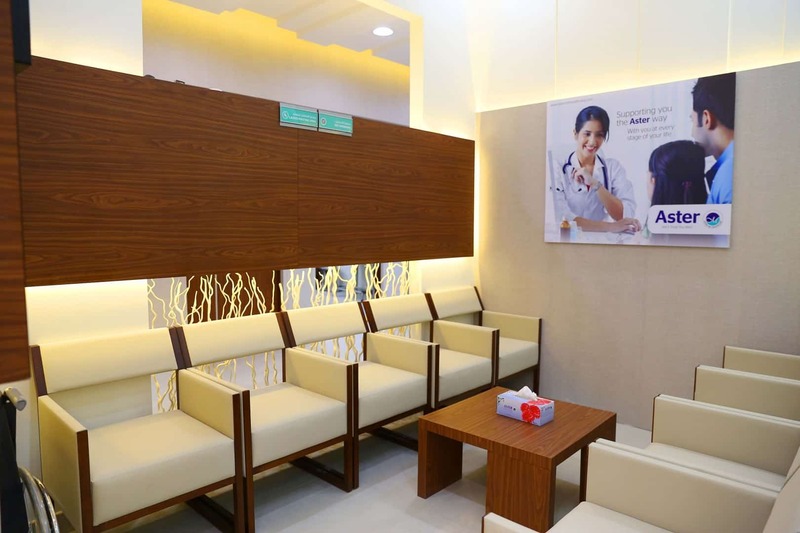 Dr Sylvia Magdy is working as a GP Dentist at Aster Clinic, Arabian Ranches. She has graduated from Ain Shams University in 2001 and has worked in multiple hospital and clinics in Egypt and UAE. 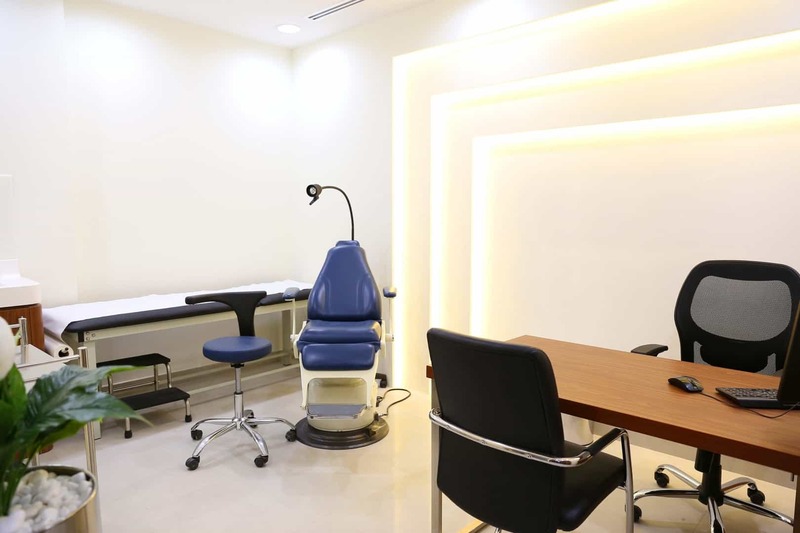 She is highly experienced in handling Crowns and Bridge work, Dentures ,Oral Prophylaxis(scaling ,polishing and whitening), Fillings, Root Canal Treatment and Extraction cases.